Unfamiliar with the San Francisco area, I had trouble finding a place to take my kids to for Halloween night activity. Instead, we sat in our hotel room at Hyatt Regency and watch "Mostly Ghostly" on the Disney channel. It had enough ghosts and pumpkins to keep my 2 year old daughter's attention. But by about 8 to 9 PM, we were pleasantly surprised to see a huge crowd gathering down in the streets in front of the Port of San Francisco building in the Embarcadero plaza. 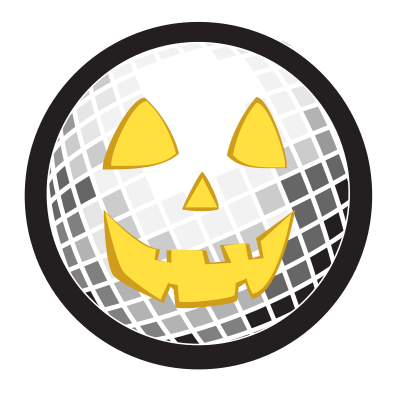 I searched the web and found that is a non-city sanctioned event: San Francisco's TAKE BACK HALLOWEEN PARTY: YEAR ONE. Ever since the end of the Halloween movement in Castro, this is probably the biggest "unorganized" gathering of Halloween night creatures in San Francisco. By the time the Disney movie ended, the crowd had dispersed due to a flashing police vehicle stopping on the side of the street. Thousands of people ran in all different directions into the city. My daughter watched with excitement from the window of our 10th floor hotel room. She wanted to join the fun. By 10 PM, we were all laying in bed. The excitement of the Halloween night was still in the air as neither my daughter nor my 11 months old son wanted to go to bed. We also heard the commotion, the screams, and the yelling got louder and louder outside. I got up to find the nightly creatures returning to Embarcadero square. I had to go to the Seven-Eleven across the street to buy milk for my kids anyway. So it was a good excuse to get every out of the bed and join the party. We dressed up my daughter in her witch outfit and my son in his Tigger costume. My wife kept her Jack from "The Nightmare Before Christmas" pajama on and we strolled (in the stroller) down to the crowd. The costumes that grabbed our attention the most was a man with a shark head, a lady in Elmo suit, and a naked angel with wings. My daughter was also excited with the witches that showed up. One of them even took a photo of my daughter. There were other great costumes last night. There was a man with a large Jack 'o Lantern, which was about the same size as my brother's "Jack in the Box" head costume from several years back. After a while the crowd started slim down a bit. Perhaps it was due to the San Francisco police sneaking up and quietly watching from the side-line. Yah, I found a unmarked police car parked behind me with two police officers standing by all of a sudden. One police office even joined in on the photo shoots. It was great fun while it lasted. I hope next year, the party would get even bigger.